Promotional berry lip balm w/white tube cap offers soft, lip smacking and healthy lips. It reminds a user about their favorite summer treat – healthy and plump raspberries. This lip balm slowly works magic over parched and dry lips and cosmetically enhances their texture. It heals all irritations and scars with ease and offers scar free or chap free smiles. Health Quotient – PABA Free. Saccharin included. Gentle lip balm. FDA approved. High quality and fresh ingredients used in formulation. Harsh qualitative ingredients avoided. Cruelty- free. Fillers, additives and preservatives totally avoided. Hypoallergenic. 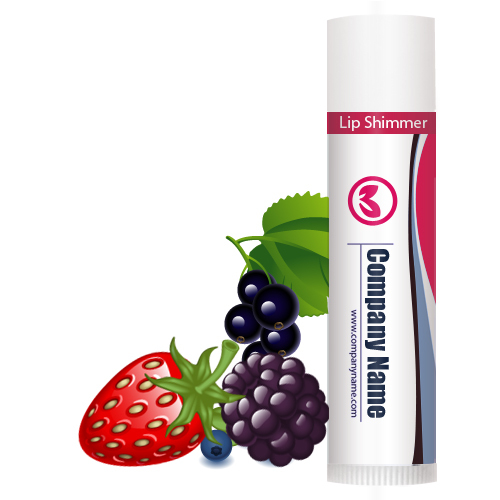 Directions – Apply this berry lip balm regularly over bare lips or as a lip make up along with lipstick. Avoid rubbing it over other parts of a face as a moisturizer. Check ingredient label identify irritants and avoid using it if you are allergic to any of them. Gifting Favors – Promotional berry lip balm w/white cap makes a great acknowledgement token for marketers who wish to keep their customers happy and bonded. It can be directly slipped to their hands or handed out with some purchases or it can be included within gift wraps.